"Smart, hardworking, motivated students are applying to medical school, And because of circumstances beyond their control, they do not have the access to financial assistance.” - chairman of the Illinois Finance Authority. 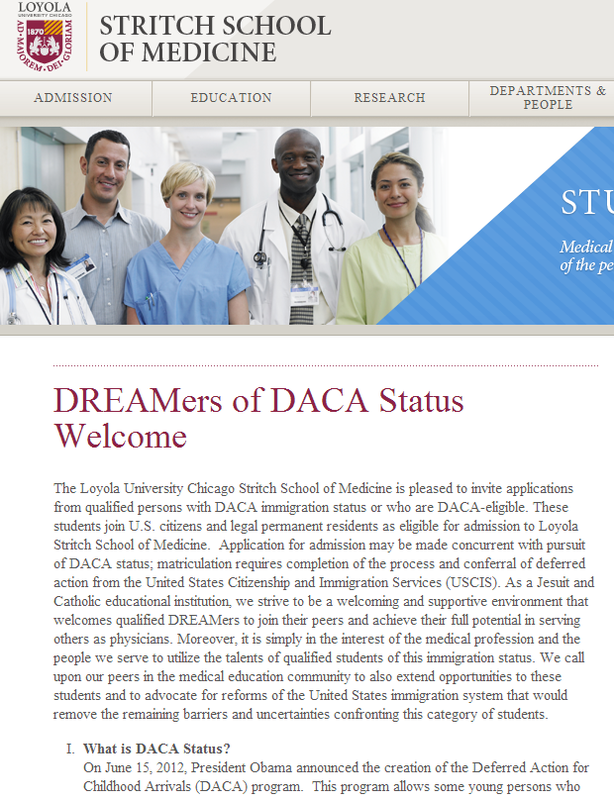 For all Pre-Med DREAMers / undocumented students applying to medical school, please (highly) consider Loyola Stritch School of Medicine [www.stritch.luc.edu/daca]. Recap: They are the first and only medical school in the nation to publicly come out and support accepting undocumented students. (Yes, it's a big deal). The state of Illinois passed a measure to allow DACA-eligible folks to take out loans to help pay for dental and medical school. More details to come as we find out specifics, but definitely something to keep an eye out for!